Jamie Walker will remain at Tynecastle until at least January after Hearts and Rangers failed to agree a deal to take him to Ibrox. Talks between both clubs went on for much of transfer deadline day, with a player-plus-cash swap discussed, but no agreement has been reached. 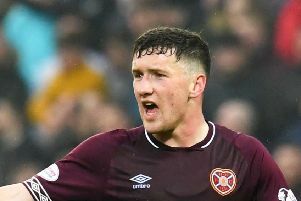 The 24-year-old will now stay with Hearts until at least January, when he enters the final six months of his deal and is free to sign a pre-contract agreement with another club. Walker has made it clear to Hearts he won’t sign a new deal and Rangers had two summer bids for the winger rejected. Hearts were holding out for a fee of around £1 million for one of their most prized assets but Rangers were unwilling to pay that amount.